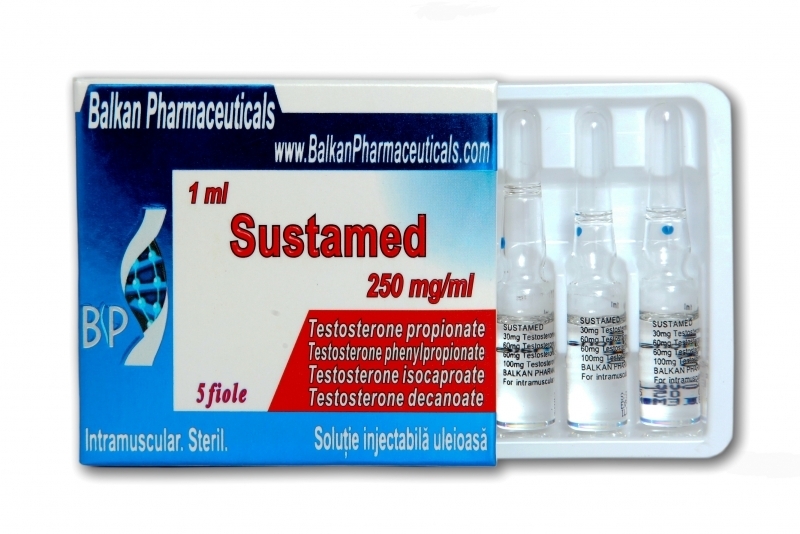 Sustamed is an oil based steroid. This steroid containes four different testosterone types of esters. If introduced into the blood, acts over a period of time. Propionate and phenylpropionate act immediately in the blood, the others remain active in the blood for a longer period of time. Sustamed is cheaper than testosterone cypionate or enanthate, which have a short action and maintain in blood testosterone levels constant. Androgenic activity and anabolic effect is pronounced. It is used a lot in times when we want to build muscle and gain strength. It is a flavored steroid, but the side effects are bearable in comparison with testosterone enanthate or cypionate. Because some esters act later in the blood, side effects may occur later. 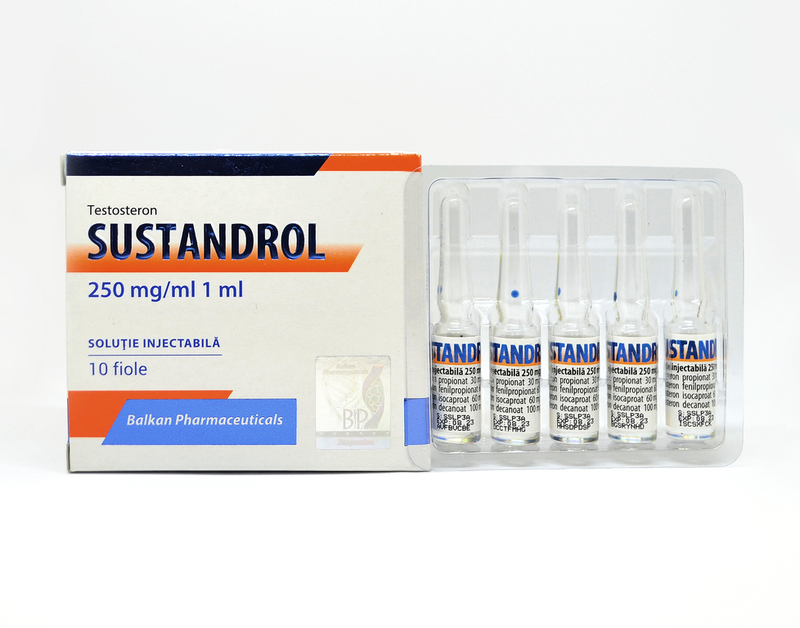 It is recommendable using Tamoxifen or Proviron during the cycle with Sustamed. Water retention may occur as a secondary carry, but it can cause: acne, oily skin, hair loss, hair growth on the body etc. 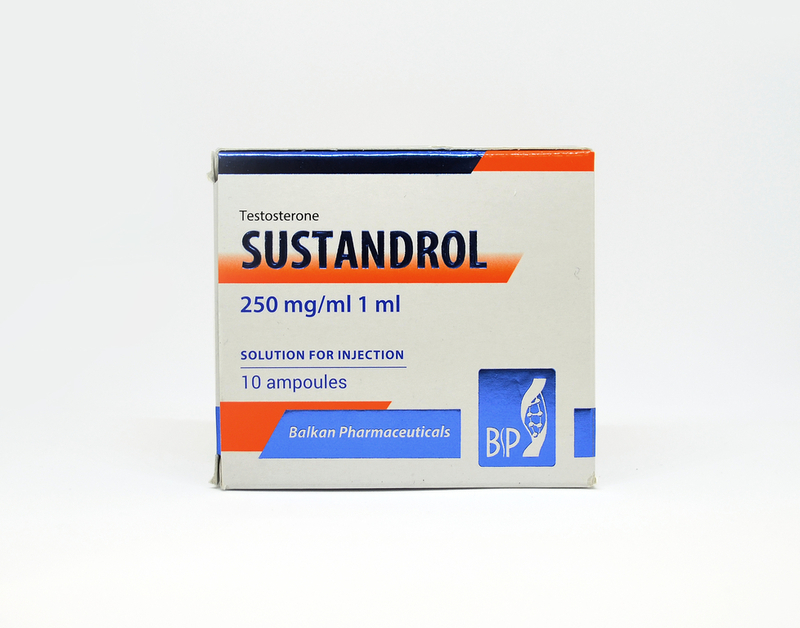 The usage of Sustamed inhibits its own production of testosterone, so it is indicated to be used with Clomed or Tamoxifen to complete the cycle. You have to remember that Sustamed is still active in the blood for a month after the last injection. This drug is given once every 10 days. The optimum dose is 250 mg every 10 days reaching up to 1000 mg per week. If doses exceed the level above, then the side effects will be more pronounced than the accumulation of muscle mass. This steroid cpmbines very well with 50 mg of Danabol or Anapolon.